Young minority men are often portrayed in popular media as victims of poverty and discrimination. A Dream Denied delves deeper, investigating the social and cultural implications of the “American dream” narrative for young minority men in the juvenile justice systems in Boston and Chicago. 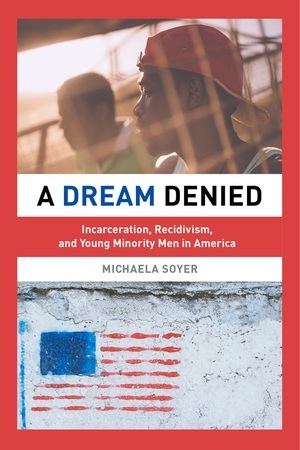 This book connects young male offenders’ cycles of desistance and recidivism with normative assumptions about success and failure in American society, exposing a tragic disconnect between structural reality and juvenile justice policy. This book challenges us to reconsider how American society relates to its most vulnerable members, how it responds to their personal failures, and how it promises them a better future. Michaela Soyer is Assistant Professor in the Department of Sociology at Hunter College.